From a small local brick manufacturer in East Tennessee in 1928, to one of the industry leaders in North American today. We offer a complete portfolio of masonry supplies for builders, contractors, architects, designers, and homeowners. We have more than 40 direct retail locations across the country, 10 manufacturing sites, plants, and quarries all located near major cities with growing populations, and over 300 affiliated distributors across North America. We manufacture one of the most requested brands in the building industry and continue to produce over 1 billion bricks per year. Winner of the Record Product of the Year, by Architectural Record Magazine - The Bark House has the world's first and only Cradle to Cradle Platinum Certified product and is a B Corp Best for the World Company. The Bark House connects people and nature through the built environment (houses) using regenerative design that results in active reciprocity for stakeholders. Products include bark wall coverings for interior and exterior application, split rail fencing and giant wooden slabs. BarkClad is the manufacturer of the finest bark products in the world since 1998. Products include Natural Poplar Bark and BarkClad's exclusive, patented SmartBark engineered bark. See www.barkclad.com. Twin Creeks Log Home Supply, Inc. is a direct supplier of custom logs and lumber material for your log home construction needs. We provide our customers with any component necessary for custom log home construction and maintenance, which includes pre-milled logs, custom beams, interior lumber, as well as stains and hardware. That means you save precious time, expense, and headaches by getting everything you need from one source. We offer the finest, most reliable products in the industry and we offer them at low mill direct prices. The ARCH is a resource for homeowners, designers, architects, builders and finishers. Our North Asheville showroom offers sustainable building products with an emphasis on wall finishes, sustainable flooring and Forno Bravo wood-fired ovens and fireplace kits. SAVE 30-50% over our competitors on log cabin kits. We have the same suppliers as the big log home companies but not the overhead, offering high quality but not high cost. At USAM we consider it a privelege and take great pride in delivering superior service and top quality products for a Total Millwork Solution customized to suit your individual needs. We've worked hard to earn a solid reputation as one of the leading millwork manufacturers and distributors. We can be your one stop source for mouldings, doors, stairways, columns, wainscot and wall panels, mantels, and custom millwork that is second to none. I have 20+ years experience in the construction and millwork arena. Take advantage of the services that we offer, I can be your free employee! 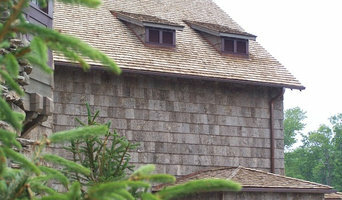 Mountain Lumber is a local building material supplier that focuses on serving building professionals. We come to the builder to help serve his/her needs. This includes jobsite visits and full material estimating. We continually educate ourselves on best practices for construction and sustainable building. 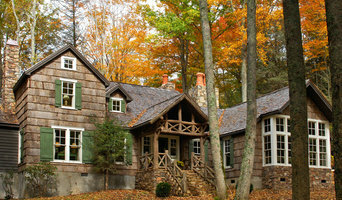 Add some old-growth charm, and a bit of local history, to your next building project. Antique Hardwoods & Beams serves builders and woodworkers with a large, affordable inventory of reclaimed chestnut, oak, and hemlock. All of our beautiful antique wood comes straight from old barns deconstructed in Western North Carolina. Spider Tie now offers anyone an easier way to construct a concrete form for a wall or a roof. You no longer are at the mercy of your subcontractors busy schedule. Since no expensive forms are required you can easily form these walls yourself. Less labor is required as well because the heaviest part of this system is a single sheet of plywood. The Spider Tie system is simple to explain. It creates a temporary frame work by which you simply fasten your plywood to using a recommended coarse thread screw. Very similar to fastening drywall to wooden studs. This framework also holds your rebar perfectly in place every time with out having to use tie wire. Unlike the heavy steel forms the Spider Tie system requires no large investment. No heavy trucks and trailers. No need for storage facilities. The amount of Spider Ties for an average sized house can easily fit in the back of a pickup. 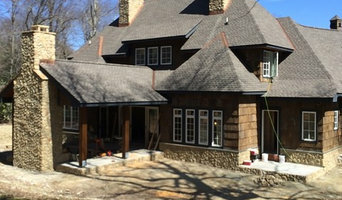 If you’ve never been involved in building a new Weaverville home or doing a house renovation, you’ll be amazed at the variety of Weaverville, NC building supplies and manufacturers that exist today. With today’s emphasis on chemical-free and recyclable products, you may find a North Carolina lumber supply company that specializes in salvaged, recycled and reclaimed wood. 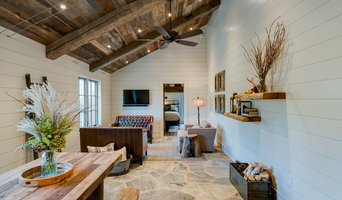 Reclaimed wood projects and applications can include custom interior walls, wide-plank flooring, barn wood sliding doors and more. Find lumber and building supplies on Houzz. Narrow your search for Weaverville, NC lumber supplies and building supplies by selecting the nearest city or zip code. Find trusted lumber companies and hardware suppliers with reviews from residential builders, interior designers and homeowners.